As the Director of Education, Kate Goodger leads a team of expert practitioners to develop the application of the Chimp Paradox Model in schools and other educational organisations. Kate Goodger also currently works with corporate clients and the British Equestrian Federation. Previously she has worked with summer and winter sports for Team GB at 5 Olympics and was formerly a Senior and Lead Practitioner with the English Institute of Sport before joining Chimp Management. Kate Goodger's background is originally in teaching where she taught PE and Geography in secondary schools. She then went on to complete a PhD in Athlete Burnout at Loughborough University in 2007. 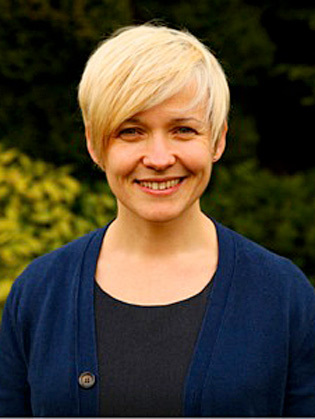 Kate is also a published researcher and has presented internationally as both an academic and applied practitioner. Kate has extensive expertise in the development of educational programmes, focusing in particular on emotional and psychological skills. She facilitates the teaching of these skills through coaching and mentoring programmes. An exemplar of her work was in her role as lead consultant for the British Olympic Association’s successful First Games Homes Games project supporting athletes competing on home soil in London 2012. She is fascinated by people and the impact of the mind on behaviour and emotional health, and passionate about nurturing potential.